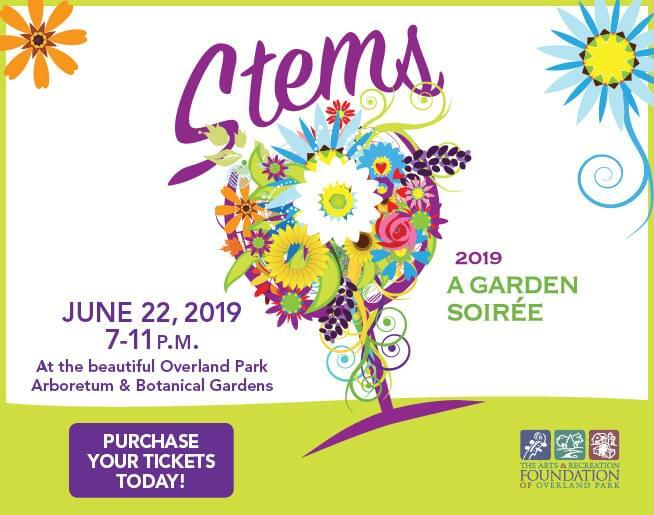 Stems: A Garden Soireé has become a beloved summer tradition over the years for citizens of Johnson Country and the KC Metro. The Overland Park Arboretum & Botanical Gardens is transformed into a festive party, complete with food stations from a variety of local restaurants, bars with wine, beer and cocktails, a diverse assortment of entertainment, and a fireworks display after dark. Attendees wander the paths taking in all the sights, sounds, and smells, and receive a hand painted souvenir wine glass at entry. It also serves as a wonderful opportunity for networking with the more than 2,000 attendees!